The story behind the creation of BioSonic and Second Nature, the collaborative and thematically linked albums from Steve Roach and Robert Logan, is the stuff of young-ambient-musician dreams. Logan, a Roach fan since the age of 13 whose own work is profoundly inspired by him, began corresponding with Roach about 15 years ago. In his initial contact, he included a CD of his own music. Roach says that he found Logan’s music to be “…already emoting at a very high level that seemed well beyond his years.” The two began on some intercontinental collaboration—Logan in England, Roach in the American southwest—the results of which are expressed in these two works. As much of a Roach fan as I am, if you just sat me down and hit play on BioSonic, I would not have identified it as his work. The mechanistic clicks, whirs, and gurgles, like some robotic boot-up coming on line, instantly grab my attention but definitely do not shout “Steve Roach.” As it transposes itself into a pleasantly plodding rhythm and the air fills with a dizzying array of sounds, I find that it wouldn’t matter who was at the controls—it’s easy to hear from early on that this will be a good ride. After that first track, I pick up more of Roach’s work seeping into the deep mix. Chugging percussive tones and a feeling of electronic velocity on “OmniGen” bring up memories of Trance Spirits as Roach and Logan thicken and intensify a storm-swirl of sound. The wall they create is fantastically dense, and the way it unloads into the quieter environs of “Ecdysis Activation” has a sense of release to it. It may come as no surprise to Roach listeners that the shifts in tempo and tone here are absolutely fluid and organic. It’s pure flow, no pun intended, weaving from the gallop of “Primal Confluence” (where the Trance Spiritconnection is even stronger) to the slow, humid churn of “Erososphere” and back up into the more energized playfulness of “The Biomechinoid Liefcycle Revealed.” That track is an ear-tickling mass of analog chirp and twitter, tiny sounds filling your head in swarms. While this whole album is a blast with headphones, this is the track that warrants putting them on in the first place. The title track follows, keeping the throttle jammed open while the duo pull an endless batch of fresh, odd sounds out of their gear and send them ricocheting around the space. Highly infectious. Second Nature sits on the other end of the spectrum, four quiet tracks that stretch roach_secondcalmly outward. The title track and “Mystic Drift” are longer than the other two, given half an hour and 22 minutes, respectively, to course past. Unlike the long-distance relationship that ideated BioSonic, this was created with the artists in the studio together for the first time, finding an ideal meeting point of concept and technique. While Roach handles the electronic atmospheres, Logan takes to the grand piano and sets thoughtful notes floating. The piano is at its most forward in “Shadowspeak,” something of a nocturne played out slowly, its resonant notes forming chords in the background. On “Mystic Drift,” the song slows further, a distant dream-element calling out in a widening wash of warm ambient textures. Roach’s work on this track is remarkably soft, a head-soothing blend of tones that completely remove the listener to a very pleasant elsewhere. The title track is similar in structure and equally immersive. Touches of tension slip in at times with short-of-dissonant tones that raise up lightly in the flow, but the listener remains well within the sound for this lush half-hour ride. These are two superb releases, and their difference in approach makes them that much more interesting. I enjoy the strong vibrancy and velocity of BioSonic and its hard, metallic edges. And I enjoy Second Nature for its slow beauty and the way it works its emotive magic at low volumes. Second Nature is bound to get a lot of looping play as listeners just allow it to fill their space. I had not realized (literally until getting to this point in my review and doing some digging) that Robert Logan formerly recorded as Sense Project—I believe I reviewed his release, The Sublime, back when it was released in 2008, and I have played his work on my podcast. I do not recall being as moved by that album as I am by these, but needless to say, Mr. Logan has my full attention now. These are must-hear albums. I still keep in mind the moment during February 2015, when I was visiting Steve and his studio spaces in Baja Arizona and he revealed his upcoming collaborative project with talented UK’s artist Robert Logan. At that time this name was a brand new to me, so my curiosity was quite big and even after exploring some of Robert’s recordings, I didn’t have any idea what to expect. Firstly unfolding as a long distance collaboration thanks to Robert Logan’s father, who contacted Steve during the second half of 2000s (there is a nice story behind that on Steve’s website), then shaping real contours towards the end of 2015, when Robert Logan visited and merged his gifted artistry with the Master at his Timehouse studio. Then the end of April 2016 has brought to us via Projekt two creatively fruitful efforts entitled Second Nature and Biosonic. Blending two visionaries beyond the limits, the listeners are immediately confronted with two distinctively extraordinary recordings. Let’s dive deeply into the introspective minimalism of “Second Nature”. The album comes in an attractive, matte 4-panel digipak, featuring cover images by Steve Roach with additional graphic work by Sam Rosenthal. As usual, the mastering is handled at Spotted Peccary Studios in Portland by Howard Givens. A 10-minute “Moment’s Notice” straightly shifts the listener into utterly soothing paradise, where Robert Logan’s balmily reflective electric grand piano meticulously amalgamates with Steve Roach’s warmly meandering atmospheric mirages. Yeah, precisely minimal and delicately nuanced, yet powerfully embracing soundscape redefining the forefront of nebulously gorgeous ambient poignancy. The intimate magic is fully unveiled, bravo, gentlemen!!! Connect yourself, enjoy and feel the genius loci of the Timehouse!!! A Hall of Fame opus!!! “Second Nature”, a 32 minutes long title composition emerges and shifts into euphoric magnitudes, masterfully bridging evocative panoptic drama with evanescent, profoundly enveloping tides of stillness. Always expressive piano patterns, no matter if intangible or perceived, continuously coalesce with droning, sinuating, culminating, titillating, mindscaping and evaporating carvings. The ultimate essence of shared virtuosities keeps on blossoming!!! “Shadowspeak”, clocking to 7 minutes, incorporates more authentic piano paintings, ranging from richly poetic to sparser subtleties, persistently counterpointed with consistently enveloping glimpses of deeply contemplative silence. “Mystic Drift”, 22 and a half minutes long composition closes this journey with gracefully sweeping cinematic washes, warmly rising and ebbing tenacious stratums insistently intermingle with ephemeral murmurs, crescendoing meridians and clandestinely cascading solitary piano vistas. Monumentally expansive and heartwarmingly engrossing currents coexist in absolute equilibrium with exquisitely yearning quietudes. Overall, I feel it in my headphones as a rather one-dimensional texture, but still a quintessentially immersing sonic ambrosia for my body and soul!!! A delicate woosh coming from nowhere welcomes the first notes of Robert Logan’s electric grand piano. These notes fall in the hollow of our ears as drops of pearl and disperse subtle effects of reverberations, extending every harmonious breath which get melt in this mass of synth layers that Steve Roach frees with the imprint of his best moments of meditative inspiration. In fact one would believe to hear a relic of Ambient 2: The Plateaux of Mirror by Harold Budd and Brian Eno on Second Nature, an unforeseen album arisen from the sessions which aimed to finalize the Biosonic project. Here, there is not a rhythm. Only thoughts put in music by an elegant and very dreamy piano that Logan frees from its dumbness with fingers marked by melancholy. And every note finds echo in these synth layers with colors as impenetrable as the density around which they are embroidered. “Moment’s Notice” is an ambitious monument of placidity where the romance dresses of its darkest assets while the very much longer title-track plays on the atmospheres by injecting a more harmonious dose in these immersive layers that Roach drew in the ambio-morphic depths of his Immersion series. From the height of its 32 minutes, “Second Nature” is a small jewel of contemplativity with a darker piano which nibbles marvellously these slow orgiastic layers which stroll lazily between the borders of darkness and luminosity. One can’t be more sibylline than here. “Shadowspeak” is literally inspired by the model Budd/Eno with a little more melodious approach which highlights more Robert Logan’s capacities as pianist being inspired by still-life. His more august envelope brings us to the borders of nostalgia. If “Shadowspeak” gives all the place to Robert Logan, it’s the opposite with “Mystic Drift” where Steve Roach dominates the atmospheres with his structures of silence which moo as hollow winds all over its 22 minutes. Here the piano is as absent as spectral, misleading its shadows in the opalescent layers of a Steve Roach who is second to none to plunge those who feed on his art in the numerous labyrinths of his plenitude. In short, they both serve quite a different mood. In a way, it’s a meeting of two generations and Anglo-American cultures: 28-year-old (England-based) Robert Logan has been a fan of 61-year-old (American) ambient performer Steve Roach ever since he was 13 years old. 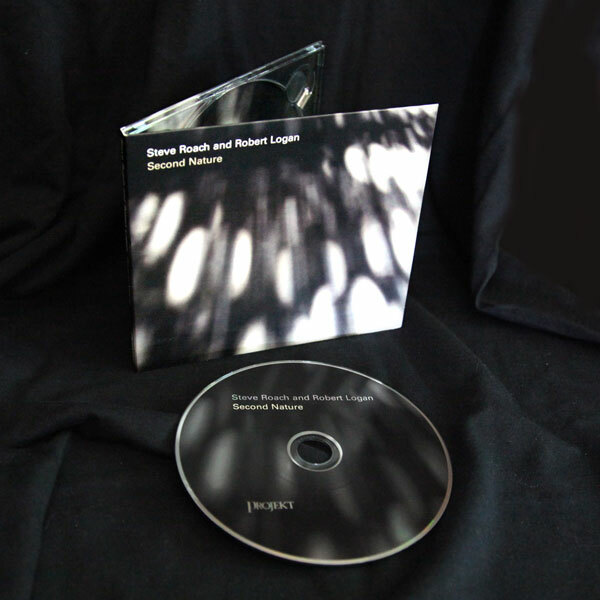 From these two albums, Second Nature is my favourite because of it’s dreamlike tranquility; the way Roach‘s vintage analog synths, live looping, mixing and effects processing merge with Logan‘s (processed) electric grand piano playing. The 70 minutes of music are divided in four tracks: two long (22/32 minutes), and two relatively short (8-10 minutes). 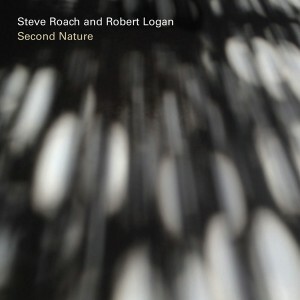 Second Nature est la seconde collaboration entre le Londonien Robert Logan et Steve Roach. Le musicien de vingt-huit ans n’a jamais caché son admiration pour le maître américain, et les deux hommes ont correspondu pendant plusieurs années. Cet album est né de la visite de Logan au studio Timehouse (Arizona) de Roach. Ils étaient alors en train de finaliser Biosonic, lorsque l’inspiration leur est venue de poursuivre leur complicité artistique. Second Nature est un opus délicat, aérien, minimaliste, évoquant indubitablement les œuvres d’Harold Budd. Roach s’est chargé des synthétiseurs électroniques, des effets, des boucles, tandis que Logan était préposé au piano à queue électrique. L’union des sonorités est idéale, Roach parvient à mettre en place des textures ambient célestes et Logan nous entraîne dans une ronde cosmique éthérée avec ses notes réverbérées. Steve Roach’s all-modular Skeleton Keys album from last year won me over in a big way, and he’s never far from releasing a new album, so I’m excited to hear what’s coming next. He just simultaneously released two with younger UK musician Robert Logan. Biosonic is a blend of many different styles and approaches, with catalog’s worth of digital and analog synthesizers, sequencers, drum machines, you name it. It has its tribal trancey moments, some harder industrial ones, lots of glitching and intricate rhythmic patterns, lots of spacey drifting over everything. It’s really dense, really involved, and absolutely incredible. It feels like being in a giant warehouse full of machines, and every one of them is doing something different, and it’s easy to get lost trying to follow everything and figure out what they’re all doing. “Biosense” in particular is really rapid and complex, if I heard this blindly I would assume it was something on a post-Schematic netlabel. Pretty bonkers, and not the Steve Roach you might be expecting. The final track, “Amniotic Universe”, is 20 minutes long and gets pretty deep and droney after a while. This is the space inhabited by Second Nature, a more “traditional” Roach ambient album. Four tracks, one of which is a half hour long. Slo-mo pianos, silvery shafts of light, a bit of darkness, but it’s all the name of reflection and solitude. Definitely not the ecstatic thrill ride that Biosonic is, but it’s certainly haunting and gorgeous, and worth sleeping to. The pairing of up-and-coming England-based electronic artist Robert Logan with progressive-electronic/ambient innovator Steve Roach delivered a superb futuristic fusion of ambience and experimental electronics with Biosonic in April 2016, and the duo also offer a completely separate release originating from the same sessions, Second Nature. Whereas the former was more-or-less a continuous seventy minute energetic and lively composition with an ever-changing pattern of programmed beats and loops, Second Nature offers four separate pieces in a much more subdued, intimate and purely long-form ambient mode, completely focused on piano and restrained use of electronics. While some sections are more recognizable in style to many of Roach’s numerous other recent works, Robert Logan provides crucial contributions such as his glistening, heart-breaking echoing piano that glides in and out of Steve’s floating serene drones. If Biosonic had a frequently moving alien-like quality, Second Nature removes all percussive elements entirely and is stark and precious in comparison, very much a reflective and grounded fragile inner journey. Both of the musicians personal contributions and individual musical voices can instantly be heard, not only truly complimenting each-other, but working in perfect unison together to create an evocative, unhurried soundtrack, sometimes even desolate and lonely but always with traces of hope and light breaking through in the most crucial moments. Robert’s precious ghostly tip-toeing piano hovers in the air as Steve’s gentle lulling synth caresses drift in and out of opener `Moment’s Notice’, a wistful and sadly romantic opener with fleeting pinpricks of warmth to the gentle melancholy and uncertainty. Initially calling to mind the pristine black and white piano shimmerings of Roach’s Etheric Imprints from back in 2015, the title track Second Nature is a dense half-hour aural collage where elements of dark and light weave around each- other trying to gain supremacy. Delicate waves of synths – some forceful, others soothing – permeate the air, with brief gloomy slivers cutting the atmosphere and fleeting glimpses of a victorious piano theme attempt to rise and take hold. The shorter `Shadowspeak’ almost entirely strips back the electronics for a crystalline solo piano interlude with downbeat notes occasionally creeping into the mix, and the twenty two minute finale `Mystic Drift’ holds groaning cavernous drones and spectral piano with calmer breezes of synths softly attempting to push away the cloudy unrest, all with an eerie cinematic elegance. An interesting backstory accompanies these latest additions to Steve Roach’s ever-swelling discography. When he was thirteen years old, the now twenty-eight-year-old Robert Logan was introduced to electronic music by his English father. A subsequent investigation brought the teenager to Roach’s The Magnificent Void, a discovery that turned out to be life-changing. Logan’s teacher father played a further role in this scenario when he sent drawings his students had made while listening to Roach’s music to the composer and included in the package a CD of his son’s ambient work. Impressed by what he heard, Roach—older by more than thirty years—contacted the young composer and subsequently engaged in an across-the-ocean correspondence that would grow into Biosonic, the first of two electronic music collaborations between them. Four years trading sound files eventually led to a late-2015 visit by Logan to Roach’s fabled Timehouse studio in Arizona to add finishing touches to the album, during which time something unexpected happened: the creation of an entire other album, Second Nature, one markedly different in spirit from the first. To say that his collaborative involvement with Logan had an invigorating effect on Roach might be inaccurate—as his recent solo releases show, he hardly needs outside stimulation to be productive—though one could say the partnership helped bring about a particularly energized collection. Certainly the seventy-minute Biosonic is infused with a kinetic drive conspicuously greater than the Roach norm, and that the recording stands apart from others in his catalogue is intimated by the H.R. Giger-esque imagery on its covers (the album’s Cyborgian theme also is consistent with the kind of vision we associate with the Swiss artist/conceptualist). In fact, it would be more correct to file Biosonic under electronica than ambient. In this wide-ranging, nine-track travelogue, pieces are powered by an aggressive mix of beats and melodies, and the album material often operates at an hyperactive, even frenetic level of electrically charged dynamism—not exactly the kind of thing we expect from Roach. The muscular rhythmic attack roaring through “Atrium” and “Biosense,” to cite two examples, might come as a surprise to listeners accustomed to his long-form ambient productions. That being said, certain earmarks of his style are evident, among them undercurrents of primal-futurism and a strong focus on textural richness, but there’s no denying the presence of less characteristic traits such as ecstatic intensity and Dionysian wildness. It would appear that Logan has been instrumental in bringing such qualities to the fore. As far as gear is concerned, synthesizers (analog and digital), drum machines, sequencers, outboard processing, and field recordings were all deployed in the album’s production, and in true Roach spirit the recording ends with a twenty-minute setting, “Amniotic Universe,” that’s characteristically immersive and emblematic of the deep ambient style associated with the composer. That closing Biosonic piece acts as a natural bridge to Second Nature, even if the second set’s pitched at a quieter level than “Amniotic Universe.” Four settings are featured in this case, two relatively short and two long, the title track a thirty-two-minute epic. The production period for this companion release was short, three days to be precise, and the material veritably flowed from the duo as if by instinct. With Logan manning an electric grand piano and Roach on synthesizers, sequencers, live looping, and processing, the recording calls to mind the collaborative work done by Harold Budd and Eno decades ago. For slightly more than seventy minutes, warm, muted hues of piano blend with gauzy synthesizer textures in minimal tone paintings of peaceful, soul-cleansing character. The music shimmers incandescently in place for minutes on end, Logan ruminating unhurriedly and Roach tinting his partner’s piano with synthetic colourations. It’s all as subdued as one might imagine, with the closing “Mystic Drift” the one that most suggests a slow-motion swim in unconscious waters. For those with an appetite for time suspension in a musical form, Second Nature should prove a satisfying meal indeed; it’s certainly a dramatically contrasting companion to its high-energy sibling.